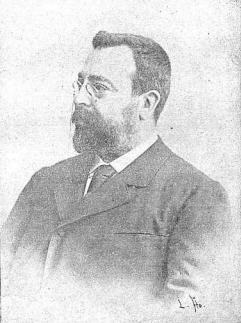 José Tolosa y Carreras was a chess player, composer and writer. He was a pupil of Joan Carbó i Batlle, and master of Josep Paluzie i Lucena and Valentí Marín i Llovet. 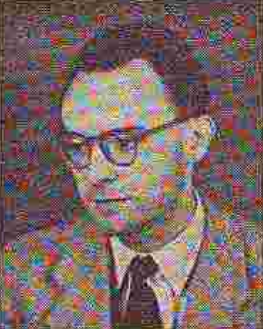 Otto Weisert composed direct mates and selfmates. Gabriel Authier wrote with Tivadar Kardos and Roger Diot "275 problèmes d'échecs du genre mutate: en deux coups". He wrote a deep study of dual avoidance "L'antidual" in 1953. He edited the problem column of the magazine "L'Echiquier de France" from 1953 until 1956 and became its managing director. He was also a SF writer ("La machine" in "Fiction" no.16 or "L'Eclipse" in "L'Echiquier de Paris" no.30/1950). Gabriel Authier was an International Judge for twomovers. He invented the fairy condition Bicolour chess. 1...Bc7-a5 2.Sc6-d8 (3.Sd8-b7#) 2...Rg6-b6 3.Be1-g3 ZZ and White mates at the next move by Bf2/Sc6/Sb7#. Ivan Borisenko composes direct mates and helpmates, especially in collaboration with other Ukrainian composers. Battery creation in diagonal-orthogonal correspondence. Ambush by black Queen. Mixed-coloured Bristol.